Michael Best travelled from the UK to work at SA’s Bird in Hand winery during the 2014 vintage. VINTAGE might be over for another year but that doesn’t mean vineyard and winery owners can sit back and relax just yet. The industry heavily relies on the use of casual staff to see each harvest through, which means employers must seek suitable candidates to lend a helping hand year after year. Bibber International marketing and program manager Pamela Campusano says the right time to hire a casual depends on each winery’s necessities and starting date of vintage. “We notice in wineries where vintage starts in early January they normally start looking for staff at the end of August or the beginning of September, however we have wineries looking for staff until late February and sometimes even March,” she says. “The best time to get staff is before Christmas and New Year; however we understand things are not always ideal so we try to have casual staff available from August until the end of February. She says Bibber International ensures it has available, reliable and professional casual staff ready to take on any job until March. Hiring casual staff is a great way for winery and vineyard owners to get the assistance they require during vintage. The main benefit is most job seekers are young, enthusiastic workers and know the job will have a specific start and end date, but Campusano says wineries need to be careful during the hiring process. “It’s always a good idea to hire people who are planning to develop a career in the wine industry, rather than backpackers looking for jobs just for money without appreciating the experience,” she says. Disadvantages depend on the selection process a winery implements to hire casual staff. Campusano says unskilled or inexperienced staff are a gamble for any winery and the lack of commitment to the job may result in serious problems. “We have heard so many stories of unreliable casual staff – that could be because the winery next door offers them two dollars extra per hour and they just leave or because they have a big night and don’t show up to work next day,” she adds. Bibber International ensures all applicants have the appropriate qualifications and/or experience in the wine industry and can speak English before offering their services. South Australia’s Bird in Hand winery regularly employs casual staff to work the vintage each year. Michael Best from the UK was one of 12 casuals hired to see this vintage through and assisted production winemaker Peter Ruchs during his three-month contract with the company. He began work at Bird in Hand in mid-February and stayed until the end of vintage in May. Bird in Hand communications manager Fiona Nieuwenhuizen says the company’s experience in hiring casual staff has been good so far but it can sometimes be difficult to secure the best candidates for the job. There are many benefits to utilising cost-effective job sites and employment agencies that source and screen candidates locally and internationally. 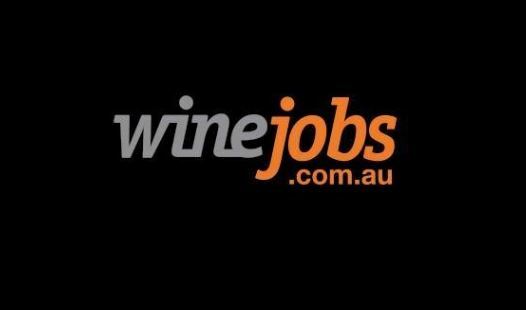 For employers who prefer to manage their own recruitment process, Winejobs, Australia’s leading wine industry jobs site, provides maximum candidate reach at a cost-effective price. Promoted in print publications and online, the site regularly posts casual, part-time or full-time positions and key international roles, catering for all types of people seeking work in the industry. Bibber International arranges overseas workers for seasonal work within Australia during harvest. The company specialises in wine and agriculture placements and offers assistance with visa requirements for those travelling to Australia from abroad. “For each applicant we provide a CV, autobiography, reference letter and a YouTube video so the employer can check their English level and personality,” Campusano says.